please click here for the explanation. As of January 30, 2010: Please Note: These are my first e-commerce carts. The process is fun, exciting and new. Everything appears to be working. If you have any ordering problems, please feel free to leave a message at 530-274-3310. Thank you. 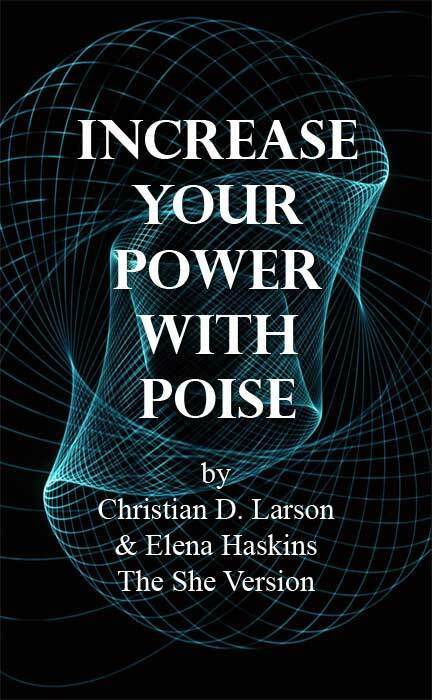 Increase Your Power With Poise is the updated version of Poise and Power, a book written by Christian D. Larson more than one hundred years ago. This version has been customized for women with gender specific nouns and pronouns. 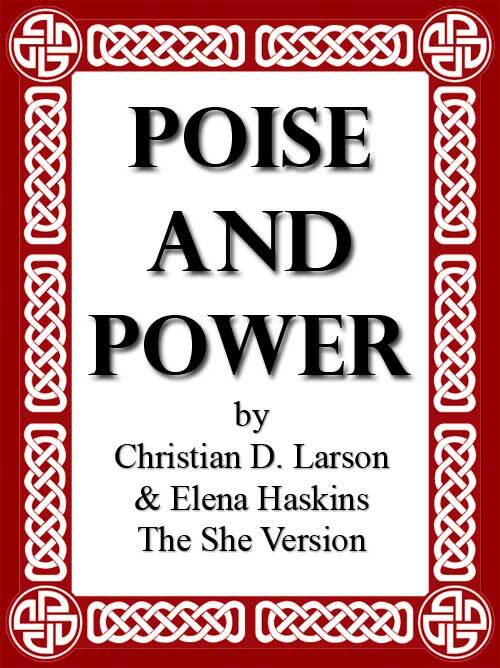 Poise and Power, The She Version by Christian D. Larson and Elena Haskins. This is the book from 1907 that was been adapted to become Increase Your Power With Poise. This version has been customized for women with gender specific pronouns and nouns.